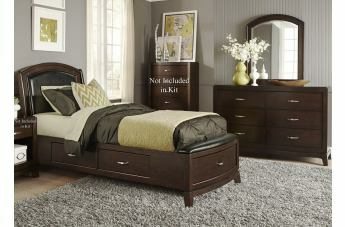 The Avalon Collection by Liberty Furniture will make an elegant and bold statement in your home. Iti s a great example of a perfect interpretation of contemporary styling that will enlighten your interior design with pure elegance and storage functionality wisely made to meet all of your home design and storage needs. 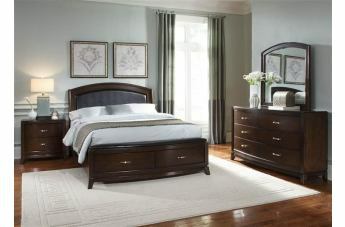 The Avalon Collection by Liberty Furniture is expertly crafted with poplar and pine solids with cherry veneers, as well as finished in a dark truffle finish. 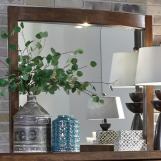 It is also available in White truffle with a light tone in your bedroom. 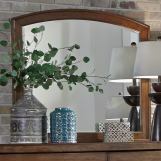 Each furniture piece from this charming contemporary furniture collection brings a warm and cozy styling, accented by contrasting satin nickel bar pull hardware. 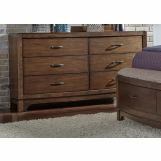 The storage footboard of its beds features leather seat top, while the cases have bow front cases with step tops that further enhance the look of this offering. 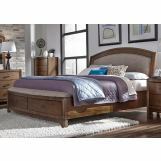 The Avalon Collection by Liberty Furniture creates an air of relaxed contemporary living in your bedroom, while offering unparalleled storage options you will surely appreciate. This bold furniture collection by Liberty Furniture generously displays perfect interpretation on functional yet beautiful furniture, specially crafted to easily fit your existing home decor.